At its annual meeting held on June 5, the Commercial Club of Cincinnati announced its newly elected officers for the 2018-2019 term. 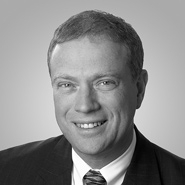 David F. Herche, Chairman and CEO, Enerfab, Inc. Organized in 1880, the Club promotes the business, civic and cultural interests of Greater Cincinnati.